If you've been ticketed for talking or texting on a cell phone or speeding while driving, contact Kimberly Pelesz New York Law, LLC immediately. Kimberly Pelesz New York Law, LLC strives to bring every family law case that we handle to a just, fair and satisfying conclusion. If charged with a crime, you'll need a good White Plains criminal defense lawyer to protect your rights & defend you against the charge. Top attorneys with our Peekskill law firm have been recognized as Super Lawyers, making our practice one of the best law firms in Westchester County. Since we opened our practice, we have received several honest and positive reviews from our previous clients. If you’ve been charged with a crime, or if you’re facing a family law issue, selecting an attorney who practices in both areas of the law is a smart choice. At Kimberly Pelesz New York Law, LLC, our attorneys are knowledgeable and experienced in both criminal defense and family law. Our Westchester County law firm and our experienced team of criminal justice attorneys are determined to craft effective legal solutions on your behalf regardless of how complicated your case may seem. Defending you from criminal charges can involve some intense litigation, but you can proceed with confidence when you turn to a top New York law firm. When we represent you, you’re treated with complete professional courtesy, and you’ll never become just another case number. If you’ve been charged with a crime, or if you need legal help with a matter of family law, get the trustworthy legal counsel you need and call the law offices of Kimberly Pelesz New York Law, LLC immediately. 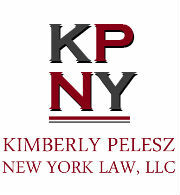 With offices in Peekskill and Poughkeepsie, Kimberly Pelesz New York Law, LLC serves New York clients in Beacon, Fishkill, Wappingers Falls, Newburgh, Tarrytown, Greenburgh, Westchester County, Dutchess County, Putnam County, Orange County, and Rockland County. In New York, police officers can arrest you on criminal charges either with or without a warrant. If the officer is arresting you under warrant, he must inform you that he has a warrant, and must also show you the warrant if you wish to see it. If the officer has a warrant, then he can break open the door to your home if you refuse entry. A police officer does not need to have a warrant to arrest you. In certain situations, he can arrest you without a warrant. For example, if he believes that a crime or offense has been committed in his presence, then he can arrest you immediately. He can arrest you even if the crime or offense has not occurred in his presence. In the case of certain types of crimes like felonies, an officer can arrest you without a warrant, and even if the crime has not occurred in his presence, as long as he has reason to believe that you committed the crime. New York law also allows private persons to make a citizen’s arrest. If you are lawfully arrested in this manner, a police officer can come in and legally arrest you without a warrant. Speak to a New York criminal defense attorney immediately if you find yourself under arrest, no matter the circumstances. When our law firm defends you against a criminal charge, we thoroughly prepare each case for trial, and we make sure that your civil and constitutional rights are protected to the full extent of the law. We believe that every client deserves comprehensive, aggressive defense representation. We are familiar with hard work and long hours, and we work tirelessly to ensure that our clients are treated fairly. Regardless of how complicated your case may seem or the amount of evidence against you, let an experienced Westchester County criminal defense attorney work with you to bring your criminal case to its best possible resolution. Candidly, no matter how high your IQ is or how many degrees you’ve earned, you simply cannot act as your own attorney if you’re accused of a crime in New York. The criminal justice system is designed so that only a trained attorney can provide the defense that every suspect needs. Yes, you have the right to act as your own lawyer. Nevertheless, if you’re accused of a crime that could send you to jail – or a crime that could empty your bank account with a stiff fine – you’ll need to obtain help from a pro. If you’re charged with any felony or misdemeanor, your best hope for justice is to contact an experienced Westchester County criminal defense lawyer immediately. When the charge is serious, anyone who acts as his or her own attorney could end up behind bars quite easily. No matter how intelligent you are, a criminal proceeding is simply too complicated, with too many legal rules and principles. Don’t take the risk. If your concern is saving money, you should know that a good defense attorney can help save you money in the long run, because the cost of a criminal conviction can frequently be overwhelming. Criminal defense lawyers already know the local courts, judges, and prosecutors. Your lawyer has both training and experience investigating cases, interrogating witnesses, and negotiating on behalf of clients. No lawyer can ever promise a result in any specific case, but if you’re charged with a crime in or near the Westchester County area, your best hope for justice is the help of a knowledgeable criminal defense lawyer. If you are charged with a felony or a misdemeanor – now or in the future – in New York, being intelligent may not help, so be wise, and arrange promptly to consult with an experienced Westchester County lawyer to handle your case. We take the time to understand fully each client and family we represent, and we help clients obtain the child custody orders and the court-ordered parenting plans that serve the best interests of our clients and their children. Whether you need immediate legal assistance or want to discuss options that you may need to decide on in the future, our attorneys are here for you. We research your options, determine your lawful rights, and help you take the appropriate legal steps toward a brighter future for you and your children. While we offer counsel and recommendations, we will litigate or settle your case according to your wishes. Our offices are located right off of the intersection of Nelson Ave. & Main St. in Peekskill near Field Library (Peekskill Public Library) and Peekskill High School, approximately 30 miles from Westchester County Airport (HPN). Take NY-120 N from Westchester County Airport to head towards Peekskill. Turn left onto NY-22 S after driving for 3 miles, and take the exit toward the Bronx Parkway/Taconic Parkway. Continue onto the Bronx Parkway, and take the first exit in the traffic circle to merge onto Taconic State Parkway toward Albany. Take exit 5 to merge onto NY-100 N/NY-9A N. After 14 miles, take the South Street/Hudson Avenue exit and continue onto South Street. Our office is on the left in under a mile. Take I-287 W if you are coming to Peekskill from White Plains. Take exit 3 and merge onto Sprain Brook Parkway N, which will eventually turn into Taconic Parkway. Continue on this road and take exit 5 to merge onto N-100 N/NY-9A N. Continue on this road for approximately 14 miles before taking the South Street/Hudson Avenue exit. Our office will be on the left in about 0.5 miles. To learn more about how our family law and Westchester County criminal defense attorneys can help you, take a look at the Google Plus reviews for Kimberly Pelesz New York Law, LLC or arrange for a free consultation today. Email us or call us promptly at (914) 214-9335.